The best Pokémon Trainers from across the globe converge for one prestigious tournament each season—the Pokémon World Championships. Watch these competitors battle for glory and cash prizes by tuning into Pokemon.com/Live from August 18–20. 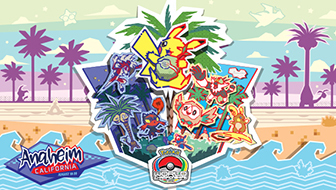 Trainers will prove they're the masters of the Alola region in the first year of Pokémon Sun and Pokémon Moon competition, and tournaments for Pokkén Tournament and the Pokémon TCG will be broadcast live as well. Unlike in the Pokémon TCG, where competitors often select an archetype for their deck and carefully modify it to suit their tastes and the expected competition, video game teams are often made up of six disparate Pokémon. It's tricky to follow what these Trainers were thinking when they built teams, but we promise these players are putting more thought into their selections than just “picking the good ones.” Read on to learn more about some of the difficult decisions Trainers face as they prepare for the World Championships, then tune into Pokemon.com/Live to see who made the best calls. Trainers are permitted to use only Pokémon native to the Alola region in this Double Battle competition, and prohibited from using Mega Stones, Mythical Pokémon, or the most powerful Legendary Pokémon. 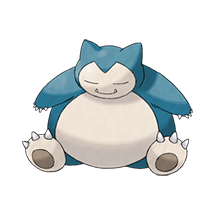 With those options removed, the Pokémon that will cause the most consternation for Trainers is undoubtedly Snorlax. Five of the top-8 teams in July's North American International Championships featured the fan favorite, and the difficulty players had breaking through the combination of its held Berry and the Recycle move leaves little reason to expect Snorlax will fade away. Trainers need strategies that either highlight or counter Snorlax in Anaheim—sleeping on the Sleeping Pokémon won't be an option. Keep an eye out for how Trainers handle Snorlax as you watch the livestream. Trainers plotting against Snorlax have a hefty challenge in front of them. Massive HP and a single weakness make it one of the most difficult Pokémon to knock out quickly, so look for an uptick in Fighting-type Pokémon to take advantage of that weakness. Fighting types stout enough to sting like a Beedrill without being as easy to knock out as a Butterfree fit best into the normally defensive World Championships mold, so we anticipate Trainers will favor the sturdy Hariyama and Buzzwole. More aggressive competitors may take a chance with Pheromosa instead, gaining more power and speed at the expense of defense. Look for Trainers who aren't willing to make room on their teams for a Fighting-type Pokémon to include Haze or Roar instead to negate stat increases from Curse or Belly Drum. Another method of taking down Snorlax is through indirect damage—keep an eye out for Celesteela, Arcanine, and Porygon2 that know Toxic. Trainers looking to win the big one with Snorlax must prepare to handle each of these tactics. Fighting-type Pokémon are best dealt with by Psychic-, Flying-, or Fairy-type Pokémon, so expect to see Tapu Fini, Tapu Lele, or Gyarados (holding Flyinium Z) protecting Snorlax. The Misty Terrain created by Tapu Fini's Ability can even stop Toxic from afflicting Snorlax, but most Trainers will combat status effects by teaching their Snorlax Facade. Other Trainers may try to get around Fighting-type Pokémon, status conditions, and Roar by redirecting attacks with Follow Me—Clefairy's Friend Guard Ability and resistance to Fighting-type attacks make it a Pokémon to look for on the livestream. No country has been more successful than Japan over the history of the Video Game Championships—but Japanese Trainers went from dominating the 2015 World Championships to missing top cut completely in 2016. Trainers from Japan are likely to have a big impact on Worlds, but since they have mostly refrained from competing in International Championships, it'll be tough to anticipate how they'll place or which Pokémon they'll bring. The rest of the tournament world seems to have agreed upon the same grouping of top-performing Pokémon, but the favorites at the Japanese National Championships were cut from a different mold. The winning team was a Rain squad featuring both Tsareena and Metagross, while the runner-up's team featured Buzzwole, Mandibuzz, Nihilego, and Tapu Bulu. With Gengar, Lycanroc (Midday Form), three more Tapu Bulu, and two Whimsicott helping round out the rest of the top cut, this tournament seemed like it might have taken place on a different planet instead of in a different country. Japan's National Championships consisted of single-game matches, rather than the best-of-three bouts used for most other tournaments, which may have contributed to some of these disparate strategies. Yet it's clear that the top Trainers from Japan have taken a different approach to this year's format than their international competition. Pay attention to their teams when they appear on the livestream—will these Trainers choose to play the rest of the world's game or continue paving their own path? 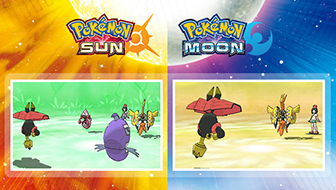 Which Tapu Will Wind Up on Top? The biggest change in the 2017 Video Game Championships is the addition of terrains created by the Island Guardians' Abilities. With Mega Evolution prohibited, no Pokémon influences the strategy of its team as much as these Pokémon do. The first thing you should note about Trainers' teams as you watch the livestream is which Legendary Pokémon they chose to build around. Tapu Koko is undoubtedly the Island Guardian that will get the most play in Anaheim. Its power and speed have made it a popular Pokémon all season, and it appeared on seven of the top-8 teams at the North American International Championships. Its power is indubitable, but as we saw with Kangaskhan in 2014 and Xerneas in 2016, being the focus of other Trainers' attention can make for a tough tournament. 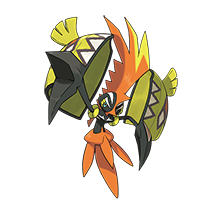 Look for Trainers who incorporate the Lightning Rod Ability on their teams to trouble Tapu Koko. The other three Tapu are unlikely to appear on a whole lot of teams, but it's easy to imagine any of them forming the centerpiece of a Championship lineup. Tapu Lele seemed like it might be the strongest Pokémon available during the Oceania International Championships in March, but it has had limited impact in the past few months. Trainers have clamped down on it with quicker teams and more Steel-type Pokémon, but Tapu Lele's impressive damage output can't be ignored. Tapu Fini's limited offensive presence has prevented it from achieving much success at International Championships, but the rise in status conditions could trigger its resurgence. Don't count out Tapu Bulu, either. The Grass-type guardian seems to be favored by several top competitors looking to play a more defensive style that highlights Grassy Terrain—the type of strategy that usually shines at the World Championships. The most exciting part of watching the World Championships is looking out for the surprising teams no one expected. Last year's World Championships was won by a team centered around a Hitmontop holding an Eject Button, a strategy that wasn't even a blip on most Trainers' radars before the tournament. 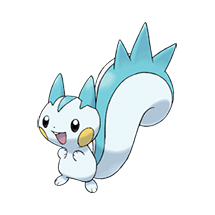 The first World Championships featuring Pokémon X and Pokémon Y­ was won by a now-famous Pachirisu team that was quite unexpected at the time—a tale worth remembering as we approach the World Championships debut of Pokémon Sun and Pokémon Moon. Trainers need to be ready for surprises, but how do they prepare for strategies that they can't wholly anticipate? A big part of the solution will be creating strong teams that can handle anything the Alola region throws at them. Trainers need to study up and build their lineups around versatile strategies. They also need to keep a close eye on Pokémon like Chansey, Clefairy, Metagross, and Salamence that could jump from the fringes into the limelight. If Trainers have been hiding any game-breaking strategies, this will be the time to bring them out, so make sure to tune in and see what surprises are waiting in Alola. 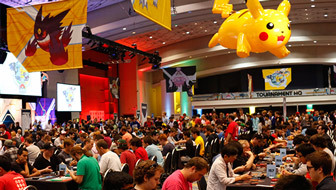 Tune in to Pokemon.com/Live starting on August 18 to watch the tournament unfold, and remember to check Pokemon.com/Strategy after play concludes each day for recaps, decks, and teams from the Pokémon World Championships. 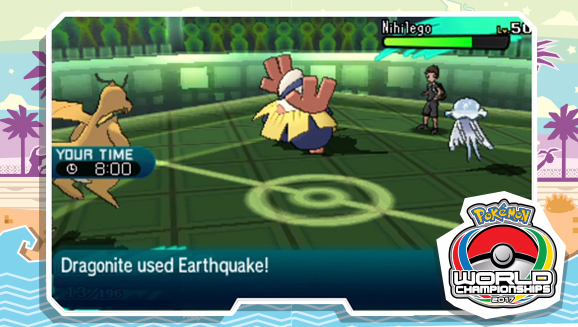 Groundbreaking Abilities are transforming the landscape of Pokémon battles.